Resending a submission is a simple process. 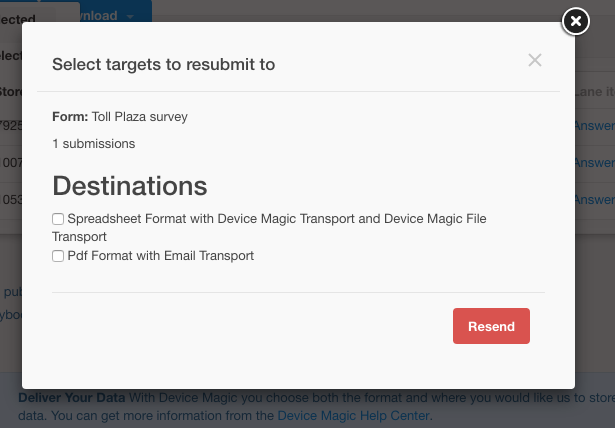 To start, you need to navigate to your "Forms" page from your Organization's Dashboard. 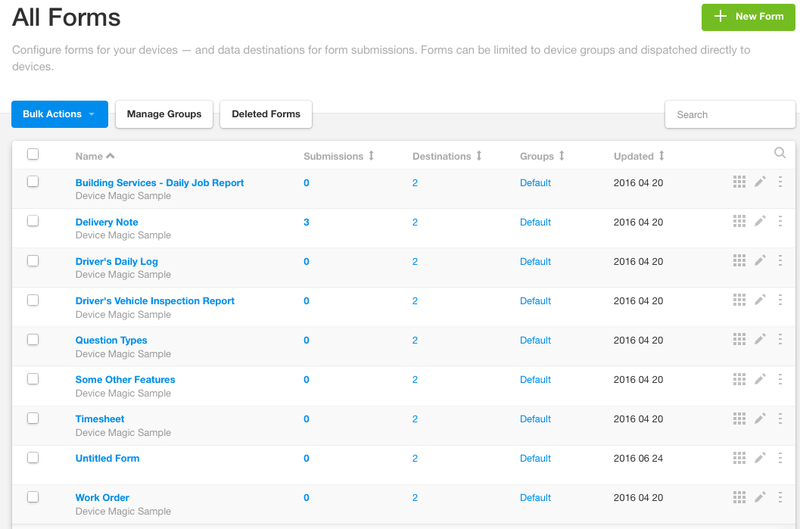 From there, click the button in the submissions column next to your form or click on the 3 dashes below each other on the right hand side of the form and click on submissions. Once you click this button, a window will pop up with a list of the different destinations linked to that particular form. Select whichever ones to which you would like the form to be sent again, and then click "Resend". The form will then be resent to those destinations. This concludes our walkthrough of resending submissions. If you have any questions or comments feel free to send us a message at support@devicemagic.com or leave us a comment below.